*GET 10% DISCOUNT WHEN BOOKING MORE THAN 1 COURSE! Latin Belly Dance Hip Hop and Samba classes are full of attitude, latin flavour, hair flicks, belly dance isolation’s, Samba steps, moves and stylisation along with full on hip hop diva behaviour, plenty of swagger and sauce to keep you strutting your stuff even after the class! Melissa has invented a fusion never done before, now copied by others and fused 3 great and popular styles she is known for Latin Belly Dance, Samba and Hip Hop creating an exciting fusion where Latin, Reggaeton, Samba drums meets the commercial up to date flavour of hip hop and dance music you know and love! Learn choreography that will be used in the end of term show. 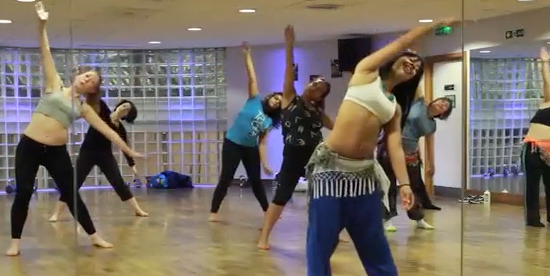 The class also involves Latin techniques such as samba steps, Latin steps and styling. Prepare to break all the rules, dance to all your favourite songs, have fun, sweat, let your hair down and let out your rebellious side! This is a high energy class, lots of water a must! General level. No experience necessary and no partner work involved. EVERYONE WHO SIGNS UP FOR 12 WEEK COURSE AUTOMATICALLY GETS ACCESS TO THE EQUIVALENT ONLINE COURSE RECORDED VIDEOS FOR THE DURATION OF THE 12 WEEK TERM AND CAN TAKE PART IN THE END OF TERM SHOW.